If you are looking for a deviled egg recipe that is just a little different, this is a good one. The filling has crisp bacon and cheddar cheese in it and it is a great change. The filling is done in the food processor which produces a very creamy texture. I forgot to take a better photo of these before they went on the party table, but I quick snapped this one to give you an idea of how I decorated them. Cut the boiled eggs in half and put the yolks, salad dressing, bacon, cheese and mustard into a food processor. Process until it starts to get smooth, then...while running, pour in the pickle juice and process for another 20 seconds. This extra processing time will chop the bacon and cheese small enough AND it gives the filling a wonderful feel on the tongue. Fill the egg white halves and top with a small piece of crisp bacon. yum, my entire family loves deviled eggs and devour them as quickly as they come out! What a nice recipe, Colleen. 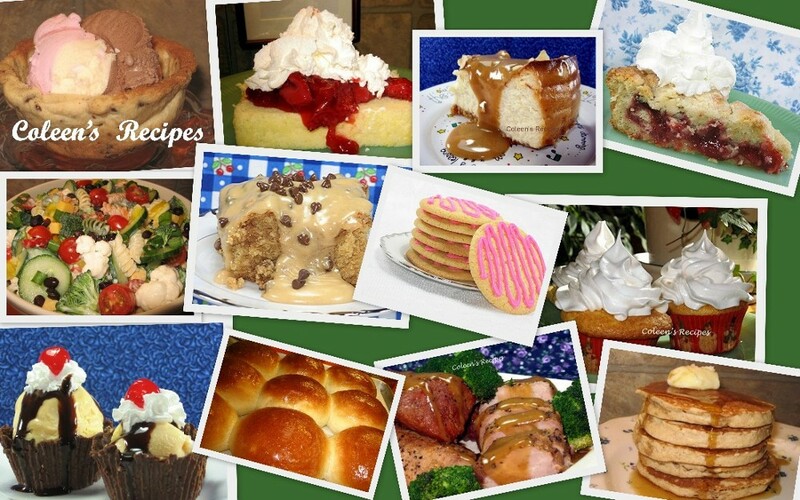 These look delicious and I love new twists on old favorites. Are you using a sweet pickle????? YUM! I love deviled eggs, but Hubby doesn't. I have to sneak them in for myself on occasion:) Mister Linky is up for this week's Crock Pot Wednesday. I figured with the busy week and weekend, that we should get an early start. I hope you will come on over and join me. There's a giveaway going on. 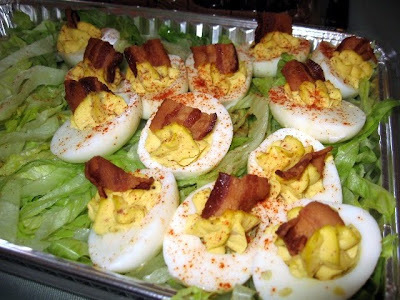 I love deviled eggs and these look yummy! BTW if your hubby doesnt like spicy you may want to omit the chipotle in my Mexican Chicken. It can be real hot. I didnt think it ended up being all the hot with just half of one but as you know spice and heat can be totally subjective. I just made deviled eggs yesterday! I really like the addition of bacon here. Yummy! oh my gosh, i must HAVE these! Oh my gosh, if I ever saw these, I would stand right at the buffet table and never move away from them and I would be sneaking one after another and trying to look innocent as I wiped the mayo and yolk off my face.